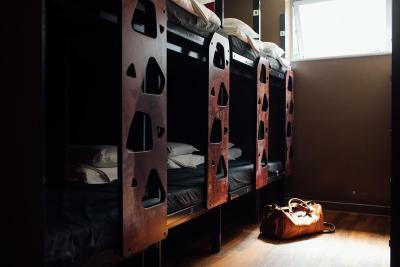 The theme of the hostel is very cool - there are lounges which are old courtrooms, and are very comfortable. 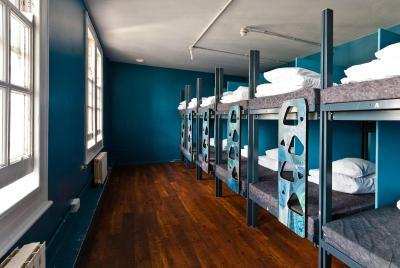 The beds in the dorms are also all separated, with dividers and personal shelves, with charging plugs and so on. 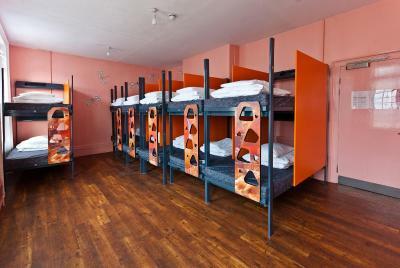 It was good value for money, and it was definitely more comfortable and cleaner than other hostels I have stayed in. Check in was a breeze. Did it on line and just picked up my key card. Same with check out. Would stay again. The location was great and the bar was cool and the art was funky. 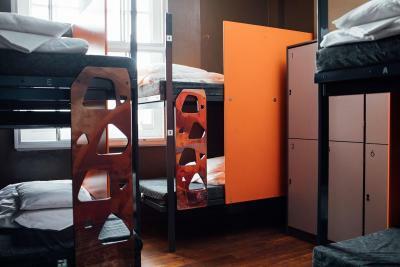 Facilities in the room, like the locker, usb charger in each bed, individual light in each bed, pub inside de hostel but not noisy for the bedrooms, good kitchen (big and good equipment). It’s really a good deal with convenience location and good breakfast! The staff was friendly and helpful. The location is very nice. It’s in a very convenient location and the people Working there are really nice. 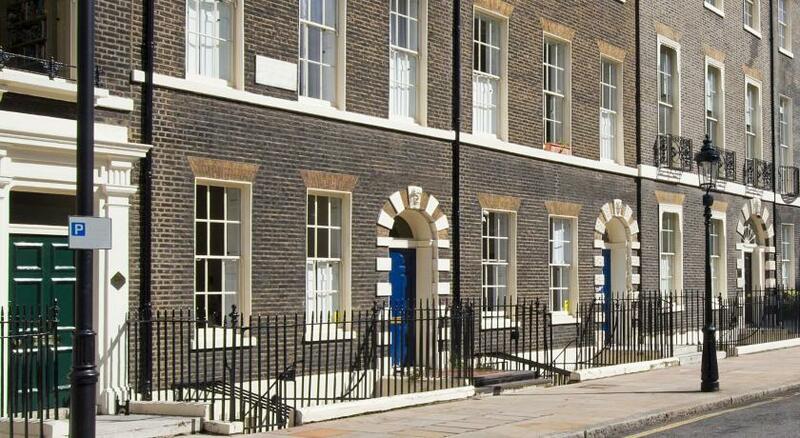 Great location, a convenient walk from King’s Cross. 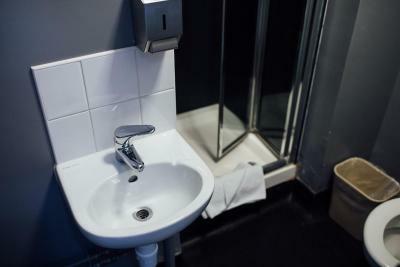 Had large kitchen and bar, good price, and less than 10 minute walk to kings cross station. The staff are fantastic. 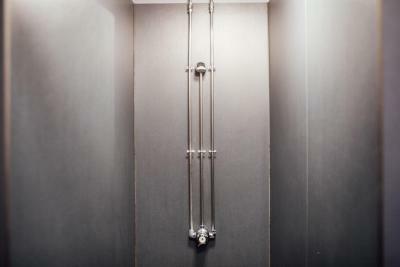 Showers and toilets are back to being clean and welcoming, and well maintained. Unlimited, reliable free internet. 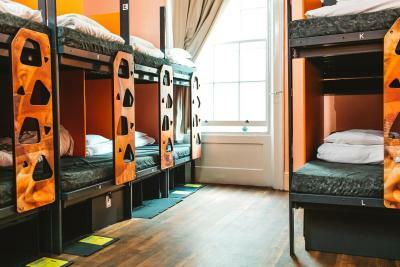 Clink78 Hostel This rating is a reflection of how the property compares to the industry standard when it comes to price, facilities and services available. It's based on a self-evaluation by the property. Use this rating to help choose your stay! 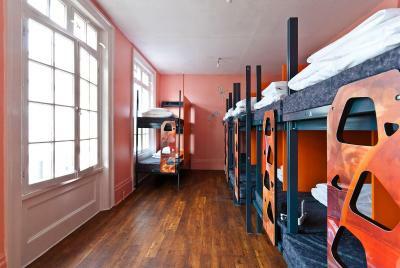 The hostel is a former Victorian courthouse that has been updated with bold and colorful interior design. Guests can make use of a modern self-catering kitchen. 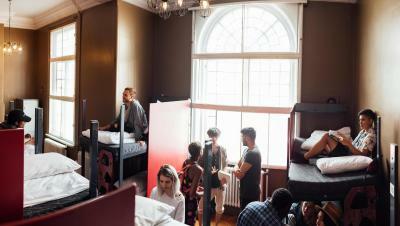 Original courtrooms have been converted into a TV/film lounge and a computer room. ClashBAR, located in the basement, features DJ nights, live music, a pool table and table football, giving guests the opportunity to meet fellow travelers. 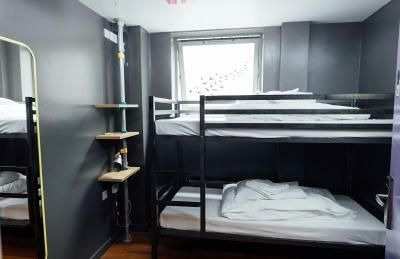 Clink78 Hostel has shared and female-only dormitory-style accommodations and private rooms. 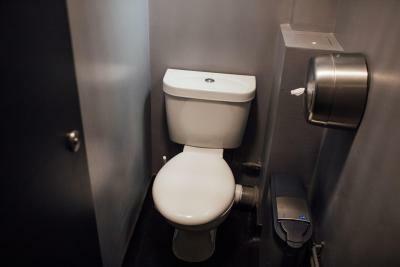 Both shared and private bathrooms are available. 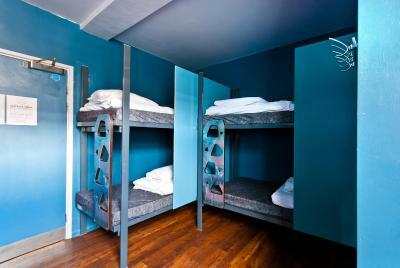 All bunk beds have individual reading lights and small lockers for valuables. Towels are included in private rooms and available to others for a small fee. 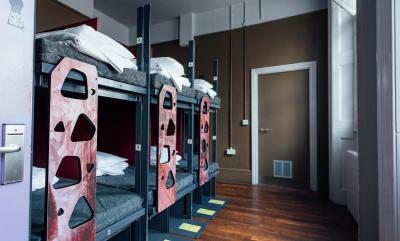 When would you like to stay at Clink78 Hostel? 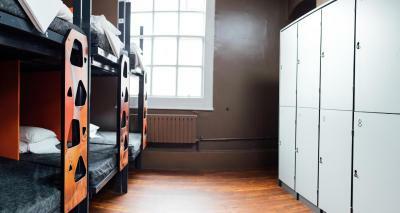 Reading lights and personal lockers are provided in these rooms. This double room has a double bed. There is a bathroom in the room. 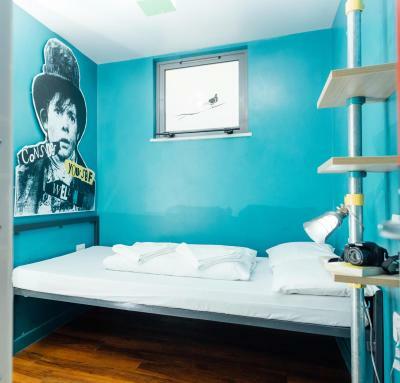 Clink78 is a fun, friendly and stylish London hostel with great facilities, set in a beautiful 200 year-old courthouse building which mixes bold interior design and elegant Victorian architecture. 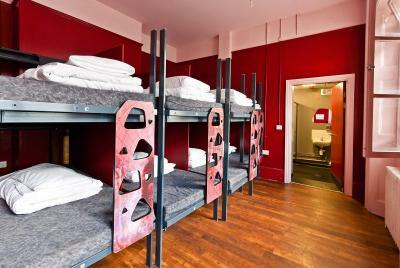 Clink isn't a big party hostel but it is a great place to socialise and meet other travellers. With space for over 500 guests and an on-site basement bar, there's usually a lively atmosphere! 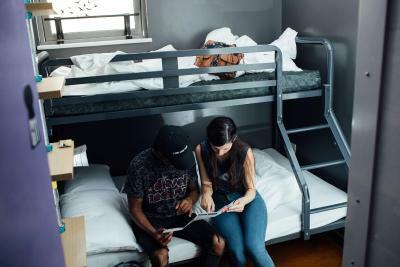 House Rules Clink78 Hostel takes special requests – add in the next step! Clink78 Hostel accepts these cards and reserves the right to temporarily hold an amount prior to arrival. The hotel requires either a passport, driver's license, or a government-issued identity card as a form of ID upon check-in. The staff is very friendly and the welcoming has been perfect. Breakfast is rich and the kitchen is very big. The bed is pretty big and linen are clean. 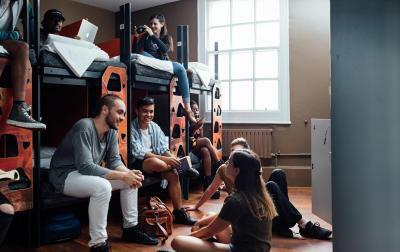 You'll Always find something to do thanks to the planning of the hostel! The staff were AMAZING! The room was better then expected as was the level of cleanliness. Good location. Good staff good breakfast. The party was not as pumping as I expected. All in all a good stay. The room had everything we need and was clean. The staff was very friendly and helpful. Clink has a lot of complementary services, which was nice, like the breakfast and the Clash Bar (the pizzas were great). 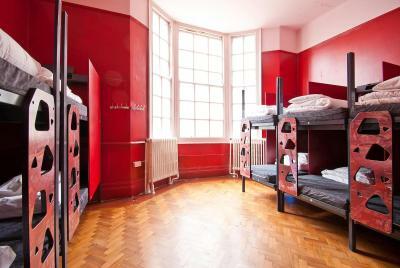 The room had lockers, which are great if you're travelling alone or sharing a room, but be sure to bring a big padlock. The windows in our room didn't have shades or curtains, which would be nice to dim the light or reduce the noise from the street. It would had been better if the shower had an adjustable shower head. There is no control of the karaoke service and people are still singing karaoke at 2 o'clock in the morning. It really disturbs the sleeping of people staying at the basement. 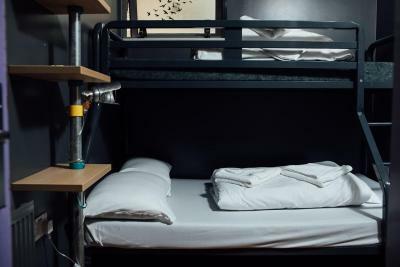 If you are a light sleeper, this is not a place for you as many young kids are still running around and speaking loudly although the rules say you have to keep silence after 11pm. The toilets at 1st floor is dirty and stinky. The bathroom is smelly as well. Seriously, the location is not so close to King Cross station. You need to walk more than 15 mins to King Cross. If you afford to pay more, just open yourself to other options. There is a shared kitchen so you can cook your food in the evening. 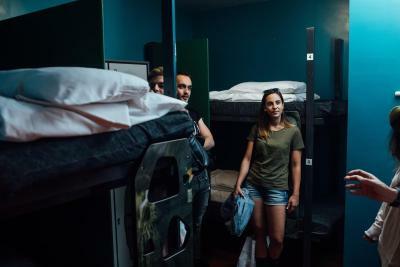 The showers weren’t amazing and I found the stairs for the top bunks really difficult to get up. They were random misplaced holes. It was okay. Location is great and the social side is good in the hang out / bar area. Men’s Shower on the 5th floor - only boiling hot water - impossible to take a shower; went to the 4th floor instead. Kitchen downstairs could be better kept. 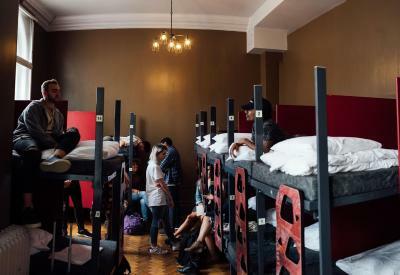 Lots of little things in the hostel just don’t work. It takes 10 minutes to walk from Kings Cross to the hostel - far. The breakfast is cheaper and delicious we can save money an eat well. There are also kitchen to use, bar with activities to do, for example: I played beer pong with some friends that I made here. The room was very smelly; it smelled as if it were an airtight space where someone's dirty laundry had been lying around for weeks, even with the window open all day and night. It was very hard to sleep in such an environment. 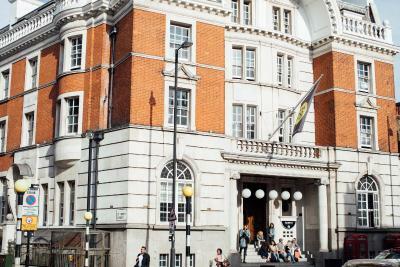 The location, close to St Pancras station, was ideal. The staff is very friendly.